PayPal Working Capital offers short-term loans to small businesses that receive payments through PayPal. Its loans have fixed fees, flexible payments, and more. In this article, we cover PayPal Working Capital reviews and pricing. Ready to get started? Visit its website. As of February 2019, there are not many positive PayPal Working Capital Reviews online. However, some users said that its pay-as-you-get-paid system assures that they would profit from the loan. Users who gave PayPal Working Capital a negative review said that it became difficult to apply for succeeding loans even after completing the payment for the first one. One user who gave PayPal Working Capital a negative review on SuperMoney said that he encountered an error with the system while applying for a fourth loan. He also added that the customer support team could not help him with that problem. PayPal Working Capital pricing depends on the desired loan amount, repayment percentage, the one-time fixed fee, and the annual PayPal sales. The maximum loan amount is up to 35% of the borrowers’ annual PayPal sales provided that it wouldn’t exceed $125,000 for first-time borrowers. A higher repayment percentage lowers the fixed fee and vice versa. For periods without sales, a minimum payment of 5% or 10% of the loan is required every 90 days. 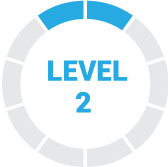 Manual and advanced full payments can also be done without an early repayment fee. Ready to get started with PayPal Working Capital? Visit its website. How Can Interested Borrowers Be Eligible for a PayPal Working Capital Loan? To be eligible for a PayPal Working Capital loan, interested borrowers must be PayPal Business or Premier account holders for more than three months. Premier account holders must have annual PayPal sales of $20,000 to $20 million, and Business account holders must have $15,000 to $20 million. Can PayPal Working Capital Clients Get More Than One Loan at a Time? PayPal Working Capital users can only be issued one loan at a time. However, they can apply again three business days after paying off a previous loan. 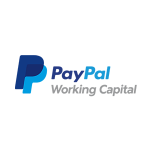 Have you read these PayPal Working Capital reviews and are still not sure if it’s the right fit for you? Read our reviews of all top lenders or check out one of these three PayPal Working Capital competitors. Paypal is very useful at the time I have to make an online purchase, the whole procedure is safe, as long as I’m making a purchase on online sites, my favorite payment method is paypal. Why? Because your transactions are safe and fast, it is very easy to use and easy to configure. Sometimes the fees paid for transactions are usually high, but it is something you can deal with, I prefer to pay a little more to have to look for other payment solutions that do not provide the same security of paypal. Very good platform to make transfers, payments and purchases online, it is very easy to use, it is very helpful. PayPal is a very good tool that I always use to pay for my online purchases, you can also make transfers and receive money quickly, and safely. 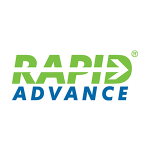 very good tool that allows you to make payments, purchases, transfers in a fast and secure way. It is super easy to use, ami facilitates online shopping.